Turkish forces are bearing down on Rajo, a key town in Syria’s Afrin region, as they continue an advance toward Afrin city, where Syrian Kurdish fighters are headquartered, Hürriyet newspaper reported. 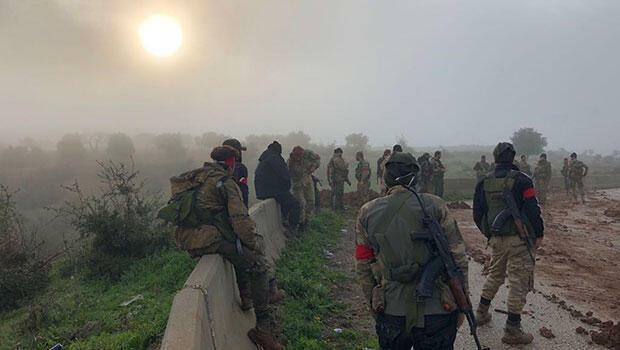 The soldiers and Free Syrian Army (FSA) militiamen moved forward at daybreak, taking two villages near the town, which is located along a road and railway line about 30-35 km northwest of Afrin city and just over 5 km from the border with Turkey. Hürriyet said the contingent was 1-1.5 km from the town centre. Video published by the Hürriyet-affiliated Doğan News Agency showed the fighters preparing to head out from night camps as the sun rose over rocky, muddied fields. One fighter manned a machine gun turret on top of a converted Japanese truck that sped along a road. Many of the fighters were wearing red bandanas. Turkish forces are advancing step by step to avoid civilian casualties, the newspaper said. Terrorists have placed booby traps all around the area and soldiers are being reinforced via a nearby border gate controlled by Turkey, it said. More armoured vehicles are arriving that are resistant to mines. Turkey started its offensive into Afrin on Jan. 20 to rout out the People’s Protection Units (YPG), a Syrian Kurdish group belongs to the same umbrella group as the Kurdistan Workers’ Party (PKK), an autonomy-seeking armed group in Turkey that is recognised as terrorist by the United States and the European Union. The YPG has been armed and trained by the United States as part of a force doing battle with Islamic State (ISIS). Hawar News Agency published a video on March 1 purporting to show a Turkish armoured vehicle being destroyed by a projectile fired by the YPG, The truck was hit in a village near Rajo, the Syrian Kurdish news service said. The Turkish military has been bombarding targets in and around Rajo over the past two weeks, according to Kurdish Syrian sources.